A Brooklyn native, son of an Austrian-born machinist and his wife, Landau joined the New York Daily News as a cartoonist while still in high school, said The Washington Post. “A precociously gifted artist,” he turned down a promotion at the paper at age 22 to try his hand at acting. He applied for classes at the prestigious Actors Studio in Manhattan; of 2,000 applicants in 1955, “only he and Steve McQueen were accepted.” It was there that he befriended James Dean and briefly dated Marilyn Monroe, said The New York Times. 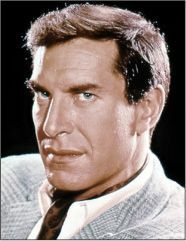 After a series of theater and TV roles, Landau was cast as a homosexual henchman in Hitchcock’s North by Northwest (1959) and as a loyal Roman soldier alongside Elizabeth Taylor in Cleopatra (1963). But he found wide fame on Mission: Impossible, playing master of disguise Rollin Hand from the show’s debut in 1966 until 1969, when he left during a contract dispute.